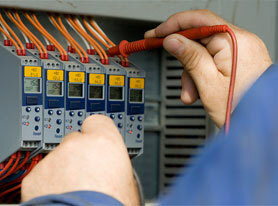 This course covers the use of overcurrent protection for distribution systems. We will discuss time overcurrent and instantaneous applications individually as well as in combination. The coordination of overcurrent protection with fuses is presented in detail, and the use of voltage restraint and directional elements to enhance the overcurrent relay's selectivity is discussed. This course concludes with a discussion of more contemporary microprocessor relays and compares them to earlier static and electromechanical overcurrent relays.